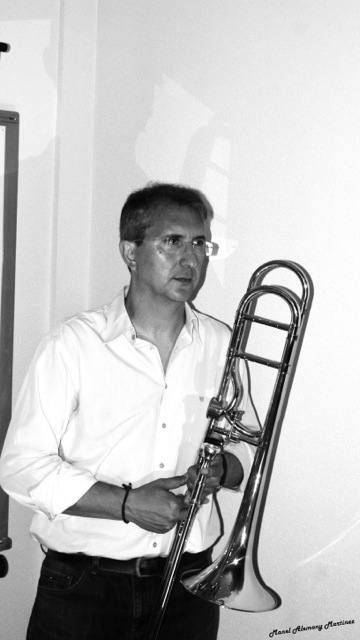 He is trombone and musical journalism teacher at the Conservatori Professional de Música de Torrent. Since 2012 he is also the student counselor of the conservatorio. Since 2013 he is part of the ATE Board and currently he is the ATE secretary.